Nothing like a wedding to get a girl dreaming of happily-ever-after . . .
Kessed Ling’s best friend’s big day is finally here. It’s especially exciting because it’s Kessed’s chance to show her childhood crush she’s not just a young bridesmaid, she’s a full-grown woman—with red hot desires. But when her long-awaited prey barely blinks an eye at her, Kessed retreats right back into her deeply guarded heart. Doesn’t matter that chivalrous Jasper Matthews steps in and offers a shoulder to lean on. Kessed is no longer in the market for a man, despite how unsettled the strong, silent groomsman makes her feel . . .
As a veterinarian, Jasper better understands a skittish filly than he does willful Kessed Ling. 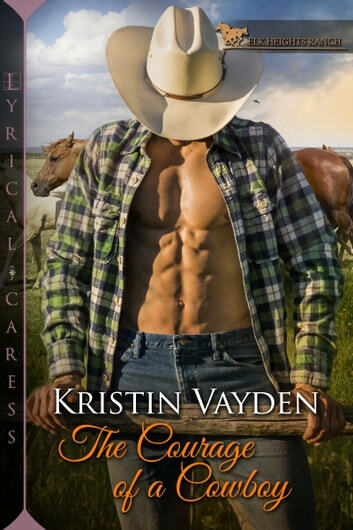 But when fate finds him playing ranch hand alongside the raven-haired beauty, Jasper realizes she’s a woman running scared—and he’s just the man to tame her. So with soothing words and bold kisses, Jasper sets out to show Kessed how good it can be between a man and a woman. Especially when the man is falling hard and fast in love . . .
Two people thrown together to help out both their friends. When an order of steers are arriving early both Kessed and Jasper have to pull together to get the needed work done so they are ready for delivery. While their best friends are on their honeymoon . Soon they find this unbelievable pull and all the things they have in common. This was such an enjoyable read.